If you’ve decided you want to finance your new motorcycle, you’re not alone. Seventy percent of enthusiasts do. With a minimum down payment and approved credit, you can arrange Harley-Davidson® Credit financing with us and get out on the road a few hours after picking out your motorcycle. Plus, you can add in all your parts, accessories, apparel, Insurance and more. You’ll have everything you need, and you only have to make one monthly payment. And because we finance more Harley-Davidson® than anyone else, we understand your special needs. Only someone who knows how you feel when you hit the starter button understands that hitting the road ASAP is your biggest concern. That’s why we make it easy. Our Dealership is located in Baltimore, Maryland also serving our neighbors in Dundalk, Towson, Ellicott City and Parkville. Extended Service Plan (ESP): Get up to 7 years of coverage on over 1,100 different parts at any authorized dealership. Wheel & Tire Protection: Pop a tire? Bend a wheel? Don’t worry, we can have it covered for you. Insure your bike’s operation and safety with this important package. Appearance Protection: Covers your bike’s paint, leather, and chrome covered by insurance without needing to stress over damage. Theft Protection: Protects you and your assets by deterring theft, aiding in recovery and, if necessary, helping you purchase a replacement motorcycle. 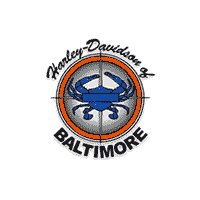 Talk to Harley-Davidson of Baltimore about financing your motorcycle with credit, and get out on the road today….